Istoria Ministries Blog: To Whom Will Some Leaders Ultimately Listen? To Whom Will Some Leaders Ultimately Listen? Many are interested in the progress of the civil action against Southwestern Baptist Theological Seminary by Dr. Sheri Klouda, the former female professor of Hebrew at SWBTS. A few months ago Art Rogers called me and said someone from SWBTS had emphatically declared to him that the Klouda suit had been dismissed by the judge. I told him that it had not happened, and anyone who said it had was mistaken. Art informed me that the attitude of the person who told him the suit had been dismissed was one of absolute certainty. This past Friday the actual truth about the Klouda case was revealed. The federal judge in charge has denied all of Southwestern's motions to dismiss the suit. Further, Klouda's second petition has been granted by the judge. Contrary to some who acted as if this case had no merit, the courts have indicated that there is sufficient reason for the case to proceed. Judge McBryde's ruling can be interpreted several ways, but I think Matt's comment at SBC Outpost succinctly details the implications. This is great news for her and terrible for Patterson. Patterson was trying to get the lawsuit thrown out before having to engage in the discovery process. Now Klouda’s lawyers will have the opportunity to legally compel Patterson to turn over all kinds of evidence. There’s virtually no limit to what they can make him hand over. As long as what she’s asking for relates to her claims or Patterson’s defenses, he has to hand over the evidence (Federal Rule of Civil Procedure 26(b)(1)). 2. Depositions - Klouda’s lawyers will be able to take depositions of Dr. Patterson and any other people they want to depose. A deposition is sworn testimony usually taking place in the lawyer’s office. The person being deposed is generally not permitted to refuse to answer any questions. Deposition testimony will only become public if the case goes to trial. 3. Production of documents - This one will be huge. Patterson will have to turn over all emails, letters, and any other documents that relate in any way to the situation with Klouda. Even if he has deleted emails, the court will probably require him to retrieve the deleted messages from backup files or through other means. Patterson is also entitled to discover evidence. After both parties have had a chance to discover evidence, Patterson will probably move for the case to be thrown out on summary judgment. I’m oversimplifying things a little, but basically the judge will have to decide if there is any possibility that a reasonable jury could side with Klouda. If so, then Patterson’s motion for summary judgment will be denied. Klouda’s lawyers can use all the evidence from the discovery process (such as Patterson’s testimony, Klouda’s testimony, incriminating emails, etc.) to oppose the motion for summary judgment. I think there’s virtually no chance of this case getting to trial. If Klouda survives summary judgment, then Patterson and SWBTS will probably settle. I just can’t see Patterson being willing to testify in open court. I agree with everything Matt has said except for his next to last statement above, "I think there's virtually no chance of this case getting to trial." I believe there is virtually no chance this case will not go to trial. This ruling virtually guarantees a jury trial in Texas before a courtroom of Dr. Klouda's peers. I would not want the job of SWBTS's defense attorneys. They must convince a jury that a woman, educated by Southwestern in Hebrew, hired by Southwestern to teach Hebrew, highly published in academia on the subject of Hebrew, and an exemplary and loyal employee of Southwestern was justly terminated by a new administration because she was a woman in a role reserved for men only - and it was a trustee mistake, albeit a unanimous one, to hire her originally. Southwestern's trustees, if they knew of Klouda's removal, as claimed by trustee chairman Dr. Vann McClain, should have given long and careful thought about her removal for gender reasons. Or, as I believe, if the trustees of Southwestern had no clue that a female professor of Hebrew was being removed for gender reasons, then the trustees better do something very, very quickly to rectify their lack of oversight. Either way, Southwestern will soon regret the day when they released probably the finest Hebrew scholar the Southern Baptist Convention has ever produced because she was a woman. One of these days trustees of our SBC agencies will learn you don't make decisions that affect the lives of people based upon a narrow ideology that is not held by the majority of Southern Baptists. I just wish that leaders would begin to actively listen to Southern Baptists on these matters instead of being forced to listen to a judge. Labels: Klouda Removal, Southwestern Sem. Wow I have never been first before, but then I am 14 hours ahead of you in Enid. As always you have said what needed to be said. You are right on the mark. I hope this suit does go to trial and SWBTS and mr. p has to give an explanation to the whole world. If SWBTS has adopted a male only format for the school of theology, then so be it. (Personally, I think SWBTS is shooting themselves, not in the foot, but in the head if they insist that only men can teach theology.) BUT that does not give the school the right to treat a fellow Christian who is a woman, like Dr. Klouda has been treated. Her treatment is just unacceptable! There is nowhere in the God's Word that gives someone the right to treat anyone, Christian or non-Christian, the way she has been treated. It is just not in God's Word, period. I truly hope that the leadership of SWBTS listens to God and does the right thing because they realize they were wrong, instead of having to listen to the courts tell them they were wrong. Wade,if there ever was truth to the old saw that "What goes around, comes around. ", this episode is an exemplary illustration. The arrogance, condescension,and contempt with which officials at SWBTS have addressed this issue, in general and Dr. Klouda, in particular, has come back full circle to confront them as our legal system of justice exercises judgement in full public view. As unpleasant as this episode is and will be for the perpetrators of these deeds against Dr. Klouda, the damage and utter disregard exhibited toward Dr. Klouda and her family is unconscionable and indefensible . . . and must be addressed by the courts. No doubt, there will be desperate efforts to settle this case out of court. However, the genie was long ago freed from its bottle and the callous and imperious decisions of Dr. Patterson and company intended for Dr. Klouda now resides on SWBTS' doorstep with catastrophic implications. This Okie is sad for SWBTS, its leadership, its students, alumni and faculty. However, the damages done to Dr. Klouda and her family were grievous, must be addressed, and those responsible must be held accountable. I hope you are wrong and this is settled out of court for everyone concerned, most of all for Christ's sake. Are you still involved in trying to get it settled? I would be very wary of your involvement and what may come out during the discovery process. I would be MORE than happy to help in a settlement. I have tried for MONTHS to no avail - long before a civil action was ever filed by Sheri - an action she absolutely did not want. But nobody would listen. Maybe they will now. Your last sentence says it all. Baptists should listen to, and give weight to, things said by their own. When I read Habakkuk, I see that God raised up the Babylonians to met out justice on Israel. Some think Him incapable, or unwilling, to use a court. Lots of people complain about this from the perspective of Dr. Klouda's action, but few seem to examine what God might be doing in the face of unfair (being mild there) actions at the hand of one who has been blessed, and given, so much. As to all the hoopla about whether Christians can go to court, it'll be interesting to see what God does with the jury. Is Dr. Patterson personally paying for his attorneys? Who is paying for SWBTS’ attorneys? Is any Cooperative Program money being used to fund the defenses of Patterson and/or SWBTS? If the case is settled (or if Klouda wins a judgment at trial), who will pay the settlement? Will any CP money be used? Will future students indirectly pay through increased tuition?" I believe the answers to his questions should be part of the SWBTS report in Indianapolis. And as an alumni who plans to attend - hopefully I can get to a microphone ahead of the women lined up to praise their home making degree! I am glad for Sheri. Matt's take on this seems to be that it won't go to trial because Dr. P and SWBTS Trustees won't want the dirty laundry aired - better for them just to settle and sweep it under the rug. Your take seems to be that they will take it trial. Why are you so certain of that? Just wondering. The way she has been treated!? She was given two years to find another place. Good Grief... we could all only pray that we would be given 2 years. Do we not have a way of settling this within the SBC? Is there not a governing body over the various institutions or can leaders become dictators without accountability? I don't know that much about this side of the SBC. One thing I wonder is how does, or if, the SBC status as sole member comes into play in this situation. Will the entire SBC be subject to liability due to the actions of the president and trustees of SWBTS. one error in her lawsuit - she claims that she was the only female in the theology school when she was hired - not exactly true, there was also a female history proff who was denied tenure. She was also widely praised by students and faculty alike. She was also the chair of the PhD committee. She was also let go only because she was a woman. I wonder if Klouda's lawyers will attemt to depo her. this is a sad and tragic day for sb's. that we would have the govt. sticking thier nose into church business....pathetic. this should send a cold chill down all of our spines, and it might cause many dead southern baptists to raise up out of thier graves...that the govt. is now gonna tell us how we can believe and practice the bible. sad. and, what's sadder is that many of you seem to be happy about it... almost giddy about it. that makes me even sadder. one can almost feel the hate for dr. patterson and the cr coming thru your joyful statements of "get them and get them good." where's the fruit of the Spirit here? this is a sad and tragic day for sb's. that we would have the govt. sticking thier nose into church business....pathetic. Wouldnt this be the other way around? Didnt Klouda have to bring suit against SWBTS? I'm pretty sure this is a civil matter so the "state" doesnt file suit. Does anybody feel that this kind of case is exactly what Paul was addressing when he warned against lawsuits among believers? Christians airing their dirty laundry to the world? I'm not saying Klouda doesnt have a right to sue and the SWBTS would then have a right to defend themselves, but would it be better for the cause of Christ to not go down this road? I know almost nothing about this case btw. just looking at the theological side of it. I dont think it will go to trial. The motivation will be money over airing various sides. It is usually cheaper to settle. 1If any of you has a dispute with another, dare he take it before the ungodly for judgment instead of before the saints? 2Do you not know that the saints will judge the world? And if you are to judge the world, are you not competent to judge trivial cases? 3Do you not know that we will judge angels? How much more the things of this life! 4Therefore, if you have disputes about such matters, appoint as judges even men of little account in the church! [a] 5I say this to shame you. Is it possible that there is nobody among you wise enough to judge a dispute between believers? 6But instead, one brother goes to law against another—and this in front of unbelievers! 7The very fact that you have lawsuits among you means you have been completely defeated already. Why not rather be wronged? Why not rather be cheated? 8Instead, you yourselves cheat and do wrong, and you do this to your brothers. 1) I'm sure the lawyers on SWBTS' side are being paid by the insurance companies. 2) The form of insurance applicable to this likely requires the insureds' (Dr. Patterson and the corporate body, both) to consent to any settlement. The insurer's liability would, however, normally be capped at what it could have been settled for. 3) Numbers 32 seems to indicate that secret dirty laundry will be found out. 4) God told Habakkuk that He would be using the Babylonians to mete out justice to rebellious Israel. I figure God can use the courts, too. 5) If Dr. Klouda erred in filing suit in this, that's a separate issue with which God will deal on His own terms. Not on ours. And I don't think anyone not in her shoes, or whom she's not asked personally, can say what she ought or ought not have done. We can only pontificate on what WE would or wouldn't have done, ourselves. I know I have plenty of things in those areas to deal with, that will hinder my ability to say whether she should or shouldn't have. It is not about the length of time she was given to find another position, it is the REASON she had to find another position. I think you missed the point of the original post from Wade! I still maintain this is not the way Christians are to treat Christians. It would seem that if SWBTS had made a honest and Biblical effort to come to a Christ-like end to this situation, there would be no need for a lawsuit. This will turn in to another black eye for Southern Baptist. I too would like to know who will be paying for this lawsuit. I certainly hope the funds will not come from the CP. I wonder how many Bibles in various languages the price of this lawsuit will buy. How many more missionaries could be sent to the countries who are begging for more missionaries. There are folks ready to go. I hope this lawsuit does not delay thier going. I think the SBC will feel the fall out from this for a long time to come. It will not a be a feeling SB folks want at this point in time. the govt. will be sticking thier nose into how we believe and practice the bible...albeit dr. klouda invited them to do it...yes! but still, when a secular judge tells us how we can and cant run our seminaries, then the govt. is sticking thier noses where it does not belong. that is truly tragic and very, very sad. "... one of these days trustees of our SBC agencies will learn..."
Your final quote is not encouraging and though I love reading your blog, I am disappointed in the position you seem to be taking. I still like you, though. Your statement leads me to believe that you endorse going through the secular courts to remedy these things. Jesus said (paraphrasing), "Don't take your dirty laundry to court. Work it out among yourselves." My personal experience leads me to believe that everyone involved in this case will regret having pursued it through the courts and God will not be glorified. It does not make any difference who is "right" in this. To take it to a secular court is like suing a pastor of your church becuase he has acted unwisely. Should never happen. If there are injustices in our Southern Baptist institutions and leadership, Southern Baptists should continue to remedy these things within the confines of our Southern Baptist Convention. If the Convention allows injustices, then the Convention will lose. God will not bless it. He does not require a secular court to remedy the wrongs within His church. God's system does not include taking this path to remedy illness in the body. I can imagine Paul, Peter, James and the guys taking their differences to the Roman Counsul for judgment as to who is right. No matter who is judged as being in the "right" in this case, God promises there will be no "winners". Speaking about 1 Corinthians 6? 1 Corinthians 13 in this matter? NO, he is right and don't get in his way? In my very humble and unsolicited opinion this event is sad, not because it has gone to these lengths, but because it began in the first place. The gov't isn't going to be deciding what we as SB's can/cannot believe - the court will decide if Dr. Klouda was treated fairly as an employee. The standard for such fair treatment, in my best understanding, will not only be legal precedent but also the seminary's policies, procedures, and actions. So if the seminary, her president, and her board of trustees were consistent, honest, upfront, and above reproach in their respective actions toward Dr. Klouda they have nothing to worry about, legally. Inconsistencies and shaded dealings get us in trouble. "the greatest church in Texas!" PS - why was no one calling for the fruit of the Spirit to be evidenced from the seminary while these events were occuring? Don't be misled. Remember that you can't ignore God and get away with it. You will always reap what you sow! Those who live only to satisfy their own sinful desires will harvest the consequences of decay and death. But those who live to please the Spirit will harvest everlasting life from the Spirit. This truth applies to all of us, even Paige Patterson and the SWBTS trustees. And it may be that they soon will reap the consequences of their actions. If not sooner, they will definitely answer later, and in that day the verdict will be final and with no appeal. Justice is coming sooner or later. volfan007: You complain this will let a secular judge tell us how to run a seminary. SWBTS already submits to secular authority in a number of matters (such as accreditation), so this is nothing new. What is really sad is that a secular judge might just have more wisdom about how a seminary should be run (such as in a Christlike manner) than the people who are running it. You're right, that IS sad. i have no problem submitting to the authority of the govt. in things that they have the right to have authority over. but, when we stand on a biblical principle...like a woman not being in an authoritative position in teaching a man bible doctrine and theology....and the govt. is gonna tell us we have to abide by what the judge says, then this is concerning. now, i know that wade and possibly you might not agree with this interpretaion of the verses that deal with this, but dr. patterson does. so, do i.
now, i agree. maybe we should've bought her house and given her six months severance pay, or something like that. maybe we should have paid her medical insurance until she got settled in her new position. maybe that would have been a more christ-honoring way to handle the situation. i dont know. but, dr. patterson did give her two years....two years...to find another place to go. most churches wouldnt give a pastor two years to find another place to go! but anyway, i dont want the govt. (judge) telling my church, nor my seminaries, that we have to hire women to teach theology. nor would i want the govt. telling us that we have to hire homosexuals. nor would i want the govt. telling us that we cant preach nor teach that jews are lost and need Jesus. i wouldnt want the govt. telling us that we have to take the Lord's Supper every sunday, nor would i want the govt. telling us that our seminaries have to hire people regardless of thier religion. would you? I totally agree that this is a disgrace. For a seminary president to do what he did and the trustees to go along with it as they did, is indeed disgraceful! "Whoa to the members of Emmanuel for allowing their shepherds to continue this." I think you meant "Woe to the members...." The word "whoa" could work, however, it has an all too equestrian feel. "Woe" is the way to go on all future calls for repentance, especially those aimed towards Dr. Patterson. Michael: What about what Patterson did to Klouda? It is SIN. Are you familiar with John 8:7? Just wondering. 1. Scripture has never needed anyone to defend it. It stands alone. It is the Word of God with or without your endorsement or defense. 2. You wrote that professors of SWBTS are required to have a personal relationship with Christ (a regenerated soul). I would hope that applied to the president and trustees also. 3. You submit that Sherri ought to make this evident, for her deviant actions toward the explicit Word of God would suggest otherwise. There are many who would submit that the president and trustees should do likewise. If they had done so, we NEVER would be in this mess to begin with. 4. You wrote that Sherri will lose this battle when the judge of humanity strikes His gavel. You might hold off of YOUR opinion on this, for Jesus will have the final say, not you. And unlike you, He knows the entire situation. 5. You say you are not defending Dr. Patterson, but it appears you are. Are you related to him? You come across so much like him. what SIN did dr. patterson commit in the firing of dr. klouda? sin? Are you always this judgemental? Back off tiger. Do you know Dr. Klouda? You wrote "Best Hebrew professor in the SBC? She cannot even read the English of the New Testament. What she is doing is a SIN and brings shame to the name of Christ! " Dr. P started this and it's about time someone called him on his actions. We need to stop defending men in power just because they have power. Put me down as one who believes that this will be settled out of court. SWBTS has already lost, now it is a matter of how much money they will be required to pay. When the judge allowed the suit to continue, the lawyer meter began ticking double time. I think SBC lawyers know that Dr Patterson and the trustee chairman put them into a no win situation when they shot thier mouths off - the last thing they want to do is to go into depositions and answer questions about why the same trustee board that hired her were behind her firing for a gender issue - after all her gender did not change! If Dr Klouda wants to make a point/justice for the wrong done to her - she will not settle, if she wants to be made whole and move down the road and continue to work with people who value her and her work, she will settle and wash her hands of this mess. As I said, my bet is she wants to get this done and move on with her life. It's a shame Patterson and the trustees don't have to pay the settlement out of their own pockets. Then they might finally think twice before they do something like this again. But since S. Baptists will end up paying the bill, they could care less. But to answer Wade's question, some leaders will not listen to anyone. They are the lords of their own lives and do exactly as they please. When one thinks one is superior to others, it is hard for them to listen to anybody. I agree with Wade that it will go to trial. The only defense that Southwestern has is that they are doing this on a religious basis and they have the right to do it on that basis--no matter what the laws are. When you take this approach, you can't settle. i dont know if he lied, or not. i wasnt there, and i havent heard dr. patterson say. what sin did he commit in not giving her tenure? What about Matthew 18 verse 17?? ?If the offender(in this case SWBTS,Patterson, et al) refuses to listen, which is exactly what they are doing, then according to verse 17, treat them as pagans and tax collectors? Wow! And that verse is referring to "brother" vs. "brother" conflict!!!! Now trust me, "brothers", solving conflict among "brothers" can be complicated, especially if there is not ONE wise "brother" among us....(ICorinthians verse 5!!!) And to think in these scriptures Paul was referring to small or trivial matters....... Remember, the offenders in this case didn't steal an egg from Dr. Kloudas kitchen or tell everyone at SWBTS that she was a terrible cook or didn't keep her house clean enough, they ABANDONED her because she was a WOMAN for heavens sake!!!!!!! It seems to me, guys, ICorinthians 6 speaks more to incompetence within the church than public airing of dirty laundry. I believe Dr. Klouda did NOT want to resort to getting this conflict resolved in the courts. And this is NOT a small, trivial matter. Maybe she wants to "bind up" the offense like we're told to do in Matthew 18 verse 18. Maybe she doesn't want others to be subjected to the pain and harm her family has experienced...... And isn't it interesting that in ITimothy 5 verse 20, "brothers" who sinned were to be rebuked PUBLICLY????? again, what sin did dr. patterson commit in not giving her tenure? volfan007: According to Klouda's account that was the lie. He told her that her job was secure and then it was not. The act of denying tenure proved his previous remarks to be a lie. The lot has been cast. The decision will come. if dr. patterson lied to her, then that was wrong. of course. i dont know. i wasnt involved in all the precedings, nor was i privy to all that was said and done. were you? i still have to ask, what sin did dr. patterson commit for not giving her tenure? and, he told her why he wasnt giving her tenure. no sin there. many people dont get tenure for a number of reasons. There is no sin in denying tenure, per se. What Dr. Klouda alleges, if I understand correctly, is that she was told specifically and personally that her position was NOT in jeopardy due to gender issues, only to find later that her position WAS in fact in jeopardy because of gender issues. I don't see where a judge will decide the makeup of SB seminaries' faculty/staff. A judge will decide if one particular employee, Dr. Klouda, was treated justly/unjustly based on the seminary's policies, procedures, and previous actions (including words). The heart of this matter is not who should be a professor in a theol. dept. or not, but how a particular employee was treated leading to dismissal. I'm not arguing for or against a woman teaching Heb. or any other course in a seminary's theol. dept. The issue is consistency, honesty, integrity, and uprightness in the business dealings of the seminary. And I'm just dumb enough to believe that God can/will bring the truth of THAT situation to light and resolution, whatever the truth of it is. One last thought: someone at some point acted inconsistently at SWBTS. Either the board in hiring her initially, or the board in allowing her dismissal, or the president was inconsistent with earlier policy, procedure, or board action. To me, if it is a scriptural, doctrinal conviction of the board and the seminary's president that only pastor-qualified men should be teaching in the theol. dept., then they should make official school policy that only pastor-qualified men may enroll in the theol. dept., and that only pastor-qualified men may be conferred with a degree intended for pastoral ministry or theol. education in college/seminary. That would at least be consistent. Bro. Wade, thanks for allowing the space to rant. Read paragraphs 32, 33, and 41 of the amended pleading. I'd be curious as to how--assuming for a moment that both Dr. Klouda and Dr. Patterson are both people of unimpeachable integrity--you would explain the apparent incongruity between 32/33 and 41? Why wait for the courts to get your hands on Patterson's documents? Just get Ben to give them to you, he's got them all anyway. anonymous: If Klouda does accept a settlement that will not mean that she did not stand for principle but just went for money. She has already made the stand for principle. She could have kept her mouth shut and went along with the mistreatment. But she cried out "no!" She has stood up on principle (and been harshly attacked as a result). A settlement will not be her caving in on principle but her winning because she was willing to stand up for her principles. Few would have the courage to do what she has (heck, you weren’t even willing to put your name on this comment). I understand the following comment was not the primary thrust of your post...however, I share you attention to detail and being accountable for truth claims. "...Southwestern will soon regret the day when they released probably the finest Hebrew scholar the Southern Baptist Convention has ever produced..."
I appreciate your passion and apparent conviction. You obviously have a great deal of respect for Dr. Klouda. Would you mind maybe listing the 5-10 Hebrew professors produced by SBC schools or currently serving SBC schools that you considered prior to determining that she is, in fact, the "finest Hebrew scholar..."
Also, I understand the role and use of the word "probably". Which scholars would you say challenge Dr. Klouda? You were not there. I was not there. However, if it comes out that Dr. Patterson did lie to Dr. Klouda, then all of your "pathos" against bringing in the government should ultimately point back to who being the ultimate cause of bringing in the government in the first place? Let's not let the "gender issue" overcloud the "truth-telling" issue. again, my concern is not about whether dr. klouda thought that dr. patterson was assuring her tenure, or if he was assuring her that he would not fire her at the moment that he became pres. of swbts, and she misunderstood, or he didnt make it plain. or, if dr. patterson ever told her anything like that, or not, to begin with. i dont know. that's not my point. i'm not interested in debating all of that at this point. my concern was a judge possibly telling swbts wether we had to hire females to teach in the theology dept. and thus, getting the govt. involved in our business. i dont want the govt. telling us anything about the way we believe and practice the bible. some of yall are trying to take me down a road that i wasnt really even trying to walk down in this discussion. let me stay on my own little path, here. ok? I got an email this afternoon from the gentleman who told me that and he was very gracious in his tone. He wanted to clarify what he said that night and clear up any misunderstandings. Rather than summarize, I will simply paste a quote from his email that will speak for itself. I assume he either saw the comment relating to this at the Outpost, or, more likely, saw this post. "These things are very complex, but I assume I confused communication with you about the Klouda case, but indeed, the Federal Case via the EEOC was dropped as I said to you in San Antonio. The seminary provided the EEOC with documents from a 1982 EEOC case against SWBTS and Dilday, in which the EEOC exonerated Dilday and SWBTS in a similar case. Once we showed them those, they dropped out of the Klouda case. Of course, there are 2 other actions still pending—one against SWBTS and another against Dr. Patterson—and I believe those are the ones that got attention in the press yesterday. I assume I confused you about these items while with you in San Antonio. My apologies." I appreciate his tone and desire for clarification. I'm sure you do as well. You said "this is a sad and tragic day for sb's. that we would have the govt. sticking thier nose into church business....pathetic. this should send a cold chill down all of our spines, and it might cause many dead southern baptists to raise up out of thier graves...that the govt. is now gonna tell us how we can believe and practice the bible. sad. You argue passionately about bringing in the government and portray Patterson as a victim in this. However, "if" Patterson lied, then the domino effect would not have taken place to where the government would have eventually entered the picture in the first place. If you wanted to argue passionately AGAINST bringing in the government and argue FOR Dr. Patterson, then you should have been sure that Dr. Patterson did NOT lie in the first place. Therefore, the very one you defend might be the one who caused what you claim to hate [i.e., government interference] in the first place. That does not seem consistent. Jim Champion, since the suit doesn't allege that the entire SBC is responsible for Southwestern (which is an interesting premise come to think), I doubt the whole denominational structure will be held accountable as sole member. I'm guessing that the plantiff's attorneys did this on purpose so as to avoid the question of whether Klouda is suing a church rather than an institution of higher learning. For the record, I don't think it will go to trial, although I've learned to never underestimate hubris and stubbornness in such matters. If it does make it to a verdict, it will be an interesting piece of case law on appeal. I go to church with one of Klouda's attorneys, and the agreement among other attorneys in our congregation is that you would not want to be opposing counsel against their firm. For that reason, I'm staying anonymous in Texas. Do you see Paul's instruction on not taking brothers to court as only a local church matter? You are funny in a good sort of way. I do not have time to read all the comments and this may already have been said but we forget something very important about government involvement in our seminaries either directly or indirectly. Benji: Your post to david is the scenario that many have been running through their head and wondering how this is Sheri's fault. It's like telling the victim of the robber that it's the victim's fault he/she was robbed for having money to steal to begin with. "She will lose this battle when the judge of humanity strikes His gavel." Whether that is the case or not is yet to be determined. Some in this comment thread seem to be way too happy at that prospect. What is wrong with people? Are you going to be rubbing your hands together in glee as Dr. Klouda gets hers at the judgment? No. You're going to be on your face with her, joyfully thanking God for saving your worthless soul with the rest of us. Have you not read? Dr. Klouda and Dr. Patterson have a Savior who took their's on the cross. Why not comment like it? There are three words that need to be remembered here today. They are honesty, transparency and accountability. They have been woefully lacking in many areas of SBC life in recent days. If these three words had been put into practice, the SWBTS/Klouda situation would have never taken place. This is true with other “events” that have taken place in some prominent mega-churches, not so mega-churches and state conventions in recent days. These three words have been the theme of Wade’s blogs and the blogs of many others commenting on the state of the SBC today. Yes, sometimes Wade’s post sound like a broken record, but I would like Wade to keep playing that same ol’ song until some of our leaders begin listening. I recall words from an old Peter, Paul and Mary song, “when will we ever learn.” “Soon, and very soon” I hope. I am hoping you do not have knowledge of Dr. Klouda's husband's physical condition. I have been patient and kind to you. I allow you to denigrate me personally, and ridicule my ministry -- but you have crossed the line with your last comment. I will not allow you abuse Dr. Klouda. And I'm hoping Michael isn't serious. You understand this situation perfectly. kmichael and volfan, Wow, you guys are cold. Dr. Klouda lost her dream job that she had been working toward most of her life. If you don't think that is a major, life shaking blow, then it has obviously never happened to you AND you have little empathy. She took a major pay cut and her income is the only source of support for her husband, who has a chronic illness and is disabled and has substantial medical expenses. She took help from Emmanuel because if she didn't she would have faced bankruptcy. Do you honestly think she enjoyed being dependent on charity? If all of this happened to you would you call it generous???? I don't think so. It was despicable. 2) he will try to insure that they acted according to their own rules in a transparent and honest way. 3) Since the trustees unanimously hired her, this could not possibly have been against SWBTS policy. 5) they didn't not grant tenure. They refused to consider her for tenure because of her gender even though there was no written publicly known policy stating their gender rules. This is simply unacceptable for any organization. I agree with you that this is sad and gives me a shiver. It is sad because we may have a secular judge explaining ethics and honesty to the President and Trustees of an SBC seminary. I understand your concern about government interference, but I don't understand how you can brush off the possibility that the President and Trustees were wrong and could have avoided the suit by doing the right thing at any time. We southern baptists have a history of brushing off our faults and blaming the bad old federal government for everything wrong. However, the federal government enforced civil rights laws that were mostly opposed by southern baptists. The bad old federal government was on the side of right and justice and the SBC has since apologized. That apology gave me some hope that the SBC was approaching a biblically defensible mature humble attitude that requires self-evaluation and criticsm more than judging outsiders (which is unscriptural anyway). However, it seems some leaders have not learned a thing. Too bad. Thank you, thank you, thank you for saying what you just said, SLOWLY and SIMPLY for mr. k mike crower and mr. volfan/david. Maybe, just maybe, they will understand and will re-evaluate what they have said. Suggestions, fellows, go rant on your own blog. You are not winning friends here. You are making yourselves look rather foolish. Just a word to the wise. could you say all of that again, but just a liiiiitle slower this time. thanks a million. but, my blood is still turning cold over this one, and over what it could lead to. 1. Is SWBTS a Church? 2. If not then why argue for the seperation of State and Seminary? 3. If so then who is the Pastor of SWBTS and who are it's members? i find it hard to believe that klouda had two years to find a new job because she was a woman teaching theology to men (and women-- yes there are women who take hebrew at swbts and they put the men to shame generally speaking). the semester prior to her leaving the seminary she was the professor for all three sections of the "hebrew exegetical method" class. to me, this would be especially odd if they had told her that she was to be let go because she was a woman. this class more than other hebrew classes with the exception of some of the book classes deals with theology. her speciality is inter-textuality (or is it intratextuality i always get them mixed up) which is very theological in nature. her last semester she taught a special class on a particular book of the Bible. there was much theology taught in this class. in fact, there was probably more theology taught in these classes than in most. i guess the administration thought she was competent to teach these classes. i assume that they were aware that she was a woman when she taught these classes as well. i don't know about her being "finest Hebrew scholar the Southern Baptist Convention has ever produced" but she was clearly competent. as far as the administration's competence, i am not as sure given that she was allowed to teach those classes. as far as the trustee's competence, i am not sure about that either given that no one was publicily reprimanded for allowing her to teach such highly theological classes instead of giving her a steady stream of elementary hebrew teaching duties until her "2 years" was up. this whole thing is foul and i can't wait until it is over. i just hope that the truth will come to light and that dr. klouda, the school, and its students will be able to heal from this horrible experience. I have been reading this blog since the beginning. I am never ceased to be amazed at how mean spirited, dogmatic and narrow minded my Brothers in Christ can be. The RNC and DNC don't have anything over the SBC when it comes to dirty politics and mean spirited debate. We will never all agree on everything. But there are just some things we should always agree about - primarily how we treat each other. Someday we will all listen without uttering a word when we stand before a Holy God in His courtroom. Discovery will not be needed because He knows. Interrogatories will not be needed because He knows. Cross examination will not be needed because we will have no defense for our sin. This is when "some Leaders will ultimately listen." I’ll not bother to point out how you’ve prejudged the innocence of Patterson and have blamed the victim. If it takes courts to bring about God’s justice, then so be it. At what age can we stop obeying the commandment to honor our father and our mother? In other words, what age can we tell our mothers to stop teaching the bible since we are now men? Have you puff your chest out and said you will listen to your father but not her? You’re basing your theology on the only sentence (1 Timothy 2:12) that is NOT backed up by the Old Testament; the only sentence that is NOT repeated in the New Testament; that is in conflict with the Ten Commandments. Oh, to think that Dr. Klouda could have spent the next three decades serving as a great professor, helping to revive a declining SBC outpost (ummm... er, never mind) of theological fundamentalism. What if it was God's plan for her tenure to usher in the next phase of Southwestern's life, revitalizing Ft. Worth after its unfortunate status as a political plum for a revered warhorse from the last century's political war? Maybe the saddest feature of today's visit to this issue is found in the vehemence of the speech of one or more contributors. Crowder and Volfan are the same person perhaps. Good luck trying to get through to them everyone. Volfan is the only one who knows all of the "clear" teachings of scripture. And I tried a couple posts back to swim through Crowder's arrogance so we could discuss some interesting comments. No luck. I drowned in it. He will one day (perhaps) overwhelm his flock with his arrogance. Hopefully they will do what I am doing...run from it (him)! Also, it might be wise to note his weak, misdirected, and insincere apology to Wade...and NOT where it should have been...to Dr. K.
He is arrogant even when he probably didn't even mean to be. "It is sad because we may have a secular judge explaining ethics and honesty to the President and Trustees of an SBC seminary." ...no one was publicily reprimanded for allowing her to teach such highly theological classes instead of giving her a steady stream of elementary hebrew teaching duties until her "2 years" was up. As an outside observer may I say that I cannot tell whether your apology to Wade is sincere or sarcastic. If sincere, could you explain exactly what you are apologizing for? You are certainly entitled to your opinion, but it concerns me that you think Dr. Klouda might be the finest Hebrew Scholar the SBC ever produced. I had Dr. Klouda for two semesters of Hebrew at SWBTS and made A's in both classes. However, here teaching skills were poor. I can honestly say that those two classes were two of the worst of my seminary experience. Your opinion of her causes me to question every other opinion you share about SBC life. When Dr. Patterson fired Sheri Klouda, he didn't represent the views of all Southern Baptists. Not every Southern Baptist believes that women should not teach men under any circumstances. The people posting here that seem to believe that all Southern Baptists believe that women should not teach men under any circumstances just help to illustrate how Southern Baptist life has in many ways become backwoods and in some ways cult-like. In other blogs at an earlier time, I said to Volfan, Tim Guthrie, Tim Rogers and anyone who would listen that they should not encourage Dr. Patterson and SWBTS to stonewall on the Klouda issue, but instead encourage Dr. P. to make it right before the legal system had to intervene. Of course, being stubborn in their hearts, they wouldn't listen to any of that. I repeat, in acting to remove Dr. Klouda, Dr. Patterson did not represent the views of all Southern Baptists, which Dr. P. has a duty to do. That is what co-operation means, and without it, the SBC won't survive. (I suspect that most people questioning Dr. Klouda's Hebrew skills are not Hebrew geniuses either). "However, here teaching skills were poor." Subjective. Why were her student evals good? Please share with us your place of service, your denominational service, your former places of ministry, and your degrees - in Hebrew. Only then will I consider your comment valid. I do not know the answer to your question. I had a professor at Southwestern who told me that he had designed the course I was taking so that the majority of students would fail. He said he didn't like the non-language track of the M.Div, and wanted to send a message to the board of trustees. I guess he is better than Dr. Klouda? After all, he is a man. Maybe. Richard was called as pastor of FBCC in July 2005. 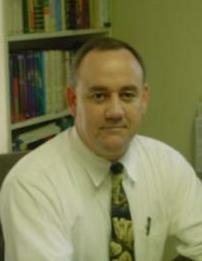 He is a native Texan and has earned degrees from Texas A&M University, Southwestern Seminary, and Southern Seminary. He is married to Christy, and their two daughters are Caleigh and Sarah Cate. Bro. Richard loves sports of any kind and spends his free time running or on the golf course. That's strange--if Dr. Klouda's teaching skills were so poor, why were her classes always closed (totally filled) while the other Hebrew professors with much more tenure had many openings? Why did new students arriving on campus already know of her? Why did her reputation as a wonderful teacher and scholar precede their arrival at SWBTS? I find very little "Christian" about the way this whole thing has been handled. Thanks for your reply. However, I am not sure what my place of service, denominational service, former places of ministry, and degrees have to do with my opinion from a student's perspective of a teacher that I have experienced first hand. Furthermore, why do I need any degrees in Hebrew to evaulate her as a teacher? But since you asked, I am a graduate of Texas A&M (BBA), SWBTS (MDIVBL), and SBTS (DMIN). I am currently the pastor of the First Baptist Church of Camden, Arkansas. I served on the Credentials Committee of the SBC in Phoenix. I have served at FBC North Zulch, TX, Hampton Road BC, DeSoto, TX, FBC Forney, TX, and now FBC Camden. My comments about Dr. Klouda stem from her very rarely if ever being on time to class, her not taking grades on homework assigned, her allowing open book and open note quizzes, and the final grade for both semesters consisting of only two quizzes. Keep in mind, I made an A in each semester. I have no ax to grind about any grade. I just think your comment about her teaching skills are a little far fetched. Wade...may I say to Richard what you surely must be thinking? Wow! Richard! You CAN'T remember whether she was ever on time...not even once...or if she was only on time occasionally. But yet, in what surely must have been at least a couple of years ago for you, you CAN remember that you only had 2 quizzes for a final grade, she never graded homework, and she gave open note and open book tests??? "Things that make you go hmmmmm..."
I have had much less schooling than you and I can't even remember how many quizzes a particular professor gave me last semester!!! Much less how many times he was late...if at all? I'm also confused as to why you didn't get an A+ instead of an A with open notes and books and only two grades to qualify? Do they give A+'s still? I haven't seen an A in so long, I can't remember! I serve with a pastor who graduated SWBTS about 5 years ago. He is apolitical and does not follow all the latest stirrings. When I recently asked him who his Hebrew professor was in seminary, he told me he had Dr. Klouda. (Knowing I'm a SBTS grad from an earlier generation, he did not expect me to recognize her name.) He was shocked when I brought him up to date concerning her circumstances. With saddness he said that he wouldn't like to see her pursue the pastorate of a church because he didn't feel it biblical, but that she was one of the most competent and effective professors he'd had in seminary or college and that the loss of her knowledge, passion and skill to young and aspiring preachers training at SWBTS was immeasurable. "Wow! Richard! You CAN'T remember whether she was ever on time...not even once...or if she was only on time occasionally. But yet, in what surely must have been at least a couple of years ago for you, you CAN remember that you only had 2 quizzes for a final grade, she never graded homework, and she gave open note and open book tests???" Exactly. I just finished more grad school LAST semester and would have to look that information up. I also cannot remember keeping score on the prof's arrival times. Are we getting a taste of the kind of defense SWBTS will put forth? Pathetic is all I can say about Dr. Pile's comments. Pathetic and unbelievable. Dr. Pile, I'd like to know what ax you have to grind? Suffice it to say, your opinion is by far in the minority. I don't know. Let's be fair to Dr. Piles since I think he's a newcomer to this blog. I'm a college teacher and my overall ranking (combined rating that includes my supervisor's and my students' evaluations) is high. But I also know that not every student likes me or my teaching methods. Some of that stuff is subjective, and I've reached the position that students that don't like me or my teaching style are entitled to their opinions and don't necessarily have an axe to grind. (Of course, I know they're wrong, ha ha!). 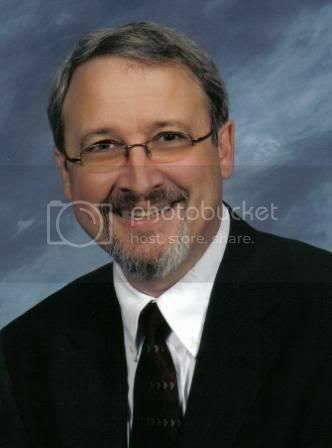 Dr. Piles, is your predecessor at First Baptist Ponca City, Oklahoma? Thanks for the information about yourself. Dr. Piles has every right to his opinion. Not everyone has the same perception of everyone else--we as preachers should know that. Some of the folks in our flocks think too highly of us, and some--let's just say, "the opposite." Just as people have different teaching styles, different people have different learning styles. I had one professor (church history) who gave weekly quizzes (consisting of who, what, where, when, and so what? ), monthly multiple-answer tests, and a semi-final and final which were essay. He kept each "set" of grades seperately, and at the end of the semester, reported the grade which was the highest. Why? Because he said that some people were better answering at one sort test than another, and he was not going to penalize a knowledgable student for not being good at one style of test-taking. One very popular OT professor commuted in from about 30 miles away in a ragged old car some 20-30 years old; he was always late, and in fact, told his classes not to leave unless he was at least 30 minutes late, because he would probably drift in. Some students (typically your Type A/Driven) avoided his classes, yet he not only knew his material, he was very effective at teaching in 30-45 minutes what others failed to convey in an hour. And one of the most popular professors (also OT & Hebrew) only gave a mid-term and a final exam for the student's entire grade. He did not care what resources you brought with you (at least in OT, not language)because his essay questions were so unique that textbooks would not particularly help you. You had, if I remember correctly, 2 1/2 hours for the final, and you wrote furiously the whole time to answer two questions, sometimes only one. My point is that Dr. Pile's experience is just that, HIS experience. But by the same token, his experiences are not necessarily universal. Are you still formulating a response to my question? I do not want to assume that you will leave it unanswered. Meanwhile over at SBC Outpost a familiar name here has just condemned fellow Baptists to death for daring to publish satire which targets the Presidents of our Seminaries (to mock them is to mock God I have just learned). The time may have come to acknowledge that the Seminaries now pose a larger threat to the denomination as they did before the "Conservative Resurgence." I propose a "Christian Resurgence" within the SBC -- one that elevates Evangelism and Missions to be our focus and relegates our Seminaries and Agencies to their proper support roles to SERVE the churches instead of instructing them. I believe SBC Outpost may have hit on part of the problem. Some of our Seminary Presidents may have lost sight of "Who" the Supreme Being actually is and think that they are "God." For shame and perhaps those misaligned Presidents need to rethink who is REALLY in charge of all of this. Wade, download Paige Patterson's sermon from Southern Seminary today. About 5-10 minutes in, while addressing the problem of unregenerate church members, he indicates that lawsuits are a sign of this type of church, and states (to the best of my recollection) that the bible doesn't allow for a lawsuit between christians. Interesting shot. Of all the examples of unregenerate church behavior or mistreatment of christians by christians, I find it remarkable that this was his example. He also has another interesting comment. "There are two types of preaching...Expositional and Bad." Does Anybody in the SBC Care About Daycare?